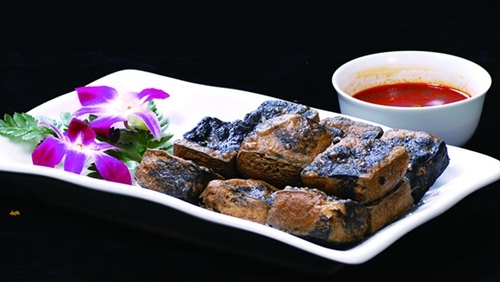 With near one thousand years' history, Chinese stinky tofu is known as choudoufuru, a preserved tofu soaked in brine, with a dark green color and strong acrid smell; it's bitter and yeasty. For fans of stinky food, the stronger the smell, the better the taste. All the smell comes from the brine, made from fermented milk, mustard green and other ingredients. The formula for brine is usually a closely guarded restaurant secret. Stinky tofu is made from bean curd, bittern, winter bamboo shoots as well as starter wine. 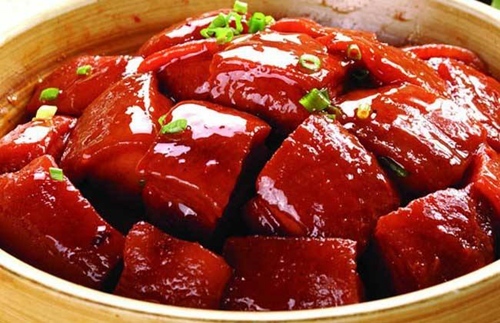 And sesame oil, soy sauce and other seasonings are added when Smelly Bean Curd is fried. Crisp and tender, Smelly Bean Curds are very delicious. 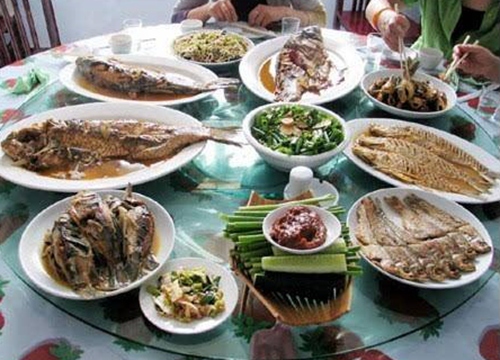 The fish head should be large, probably from an enormous carp or similar freshwater species, thus comical, and it should be frosted with the chopped blend of dried, fresh and fermented chiles that give Hunanese cooking its reputation for head-snapping heat. The huge fish head features splendid colors and bold flavors.The ingredients include red pepper crusted tuna, onions, ginger, salt and cooking wine and peanut oil. 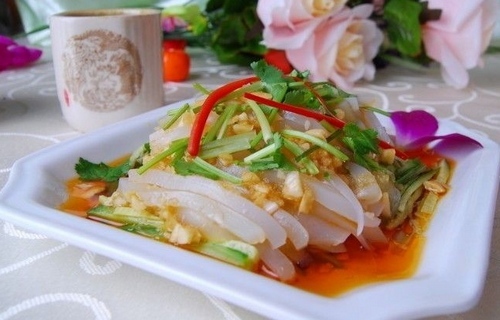 The thin, long, round and smooth rice noodles is made of a mixture of rice flour and specially prepared condiments. 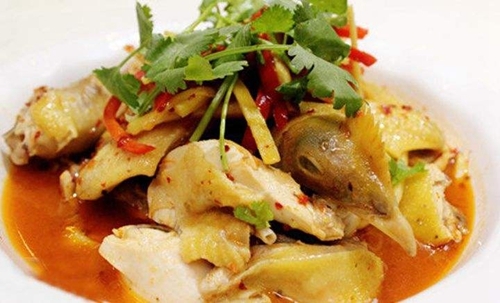 The cooked rice noodles give the eater a lasting savor. 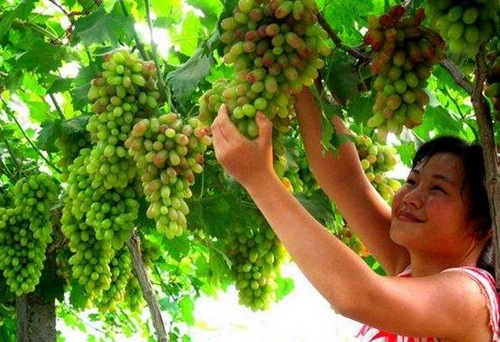 Each grape is famous for its big size, thin skin, abundant juice, which make a tender, fresh and sweet taste. 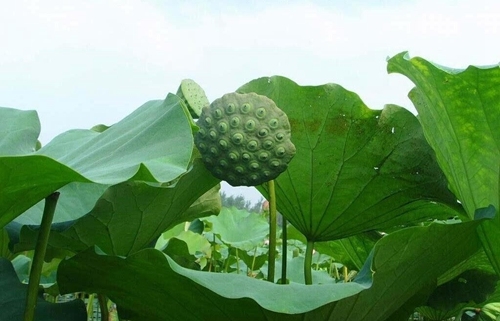 The Yubi lotus root is smooth and non-fibrous but contains plentiful juice with a fresh and appetizing flavor. It is very nutritious and delicious if cooked with chicken or spareribs; yet it is very difficult to pick, for it grows only on cliffs. 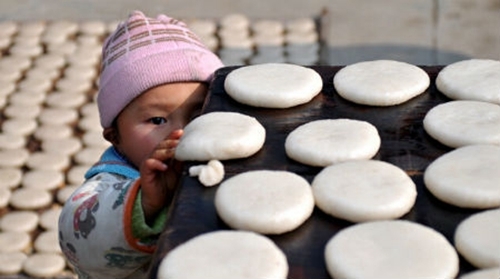 The glutinous rice cake, a specialty peculiar in western Hunan, is made of glutinous rice steamed and pounded into paste. 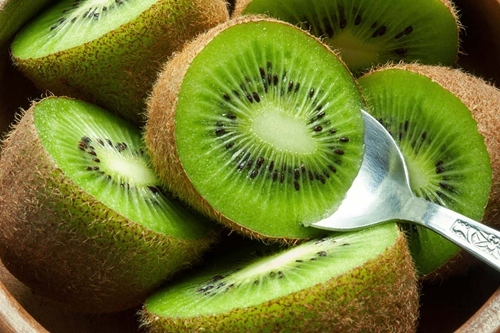 Kiwifruit is a superior origin of vitamin C and an excellent source of dietary fiber. 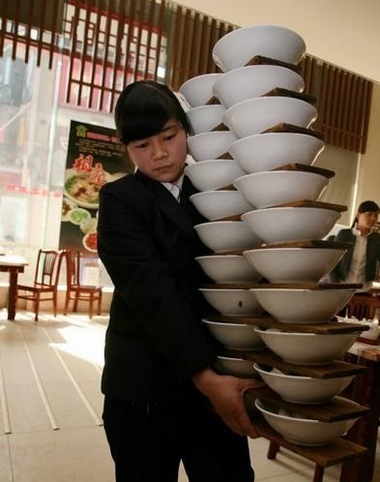 It is an epidemic specialty in Xiangxi. 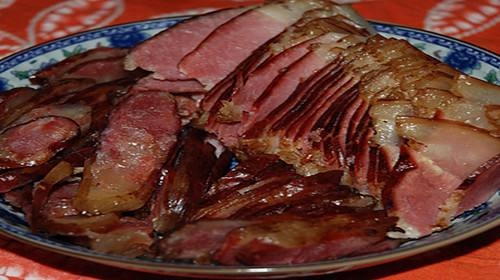 The homemade delicacy is usually for spring festival. 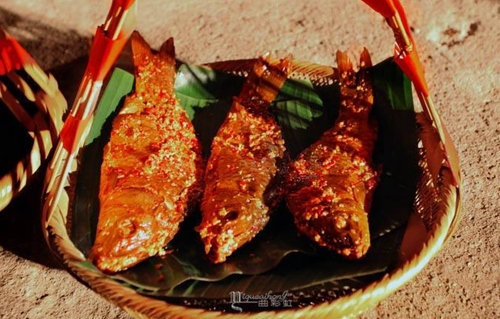 Sour fish is unique to the Miao people. 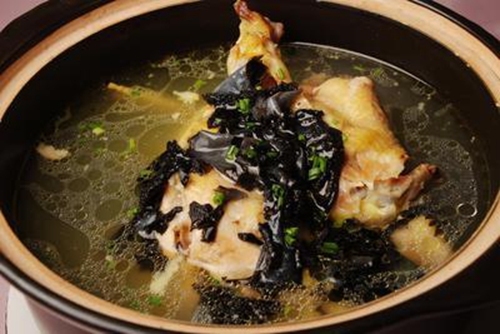 It is an indispensible delicacy when Miao people entertain honored guests. 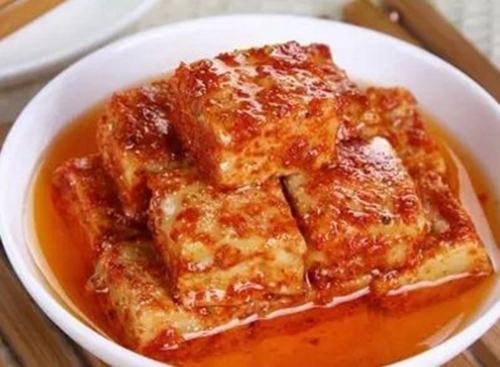 Rice tofu made from rice is a delicious taste in Xiangxi. 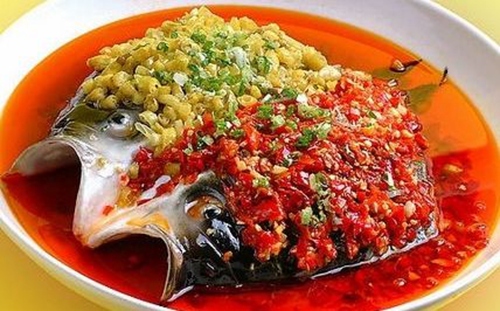 With fish from Dongting Lake as the raw material, the banquet consists of more than 20 fish dishes. Made of soy beans produced by Zhang Guying Village, camellia oil from Weidong Township, and water from Longxian Well, it looks golden in color, soft and amaze in taste. Reputed as “Champion of yellow tea”, it has a wonderful bouquet, which shows repeated scenting, and produces a liquor that is truly delicious. Junshan Yinzhen (Simplified Chinese:君山银针, "Silver Needle(s) of the Gentleman Mountain") is a Yellow tea produced from Junshan Island of Hunan Province. Junshan Yinzhen, the yellow tea, is the most exclusive tea among its group of tea. When brew in a glass, the leaf which looks just like the sword moving up and down is described as ‘Silent bamboo forest’. Junshan Yinzhen is the produce using the tea leaves from the tea garden at the Junshan Island, which is located in the middle part of Dongting Lake. 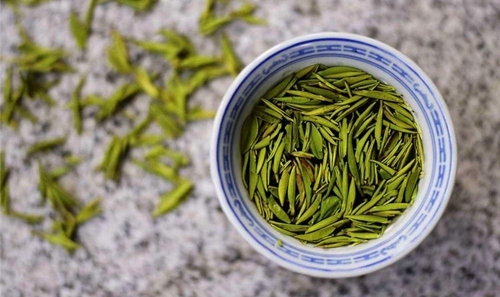 It is said that the best time to harvest the best quality bud for Junshan Yinzhen is the period lasting 14 days in total through the whole year, which falls between 4 days before Qing Ming, occurring on April 4 (Leap years) or April 5 (Other years) of the Gregorian calendar and 10 days after Qingming. The first bud in spring comes with so-called Yu Yue, the tiny leaf attached to the bud, that is to protect bud from cold temperature. This naturally made cover could be a good indication to recognize the high quality Junshan Yinzhen. To process Yellow Tea, the tea leaf must undergo the unique step called Men-huang, the smothering process which is the slow oxidation process of tea polyphenols such as catechin. As a result, it produces bright yellow color, refreshing flavor and sweet and mellow taste that are the characteristics of yellow tea. Junshan Island produces Junshan Yinzhen in green tea type as well. Sometimes, this is sold as yellow tea in oversea market, as their selling price is cheaper. Junshan Yinzhen has been produced long time ago, during Tang Dynasty. In the past, the production of tea was only about 0.5 kg per year, up to date, the production only increased to 300kg per year. In the history, it was believed that during Tang Dynasty, when Wencheng princess married to Tibet, she picked the Junshan tea as one of her trousseau. Junshan Yinzhen became the tribute to emperor since Wu-dai (The Dynasty after Tang), and continued during Song, Ming and Qing Dynasty. During Tang Dynasty, Junshan Yinzhen was called "Yellow tail leathers" (Huang Ling Mao), because when brewed, the yellow bud covered with down was standing up in the glass just like yellow pinion. As recorded in the book Cha-Jing (The Tea Scripture written by Lu Yu)， during Song Dynasty, it was known as "White crane tail leathers" (Bai He Ling), because of this tea was planted at the White Crane Temple (Bai He Si), when brewed using water from White Crane Well (Bai He Jing), it looked like White Crane walking in the water. 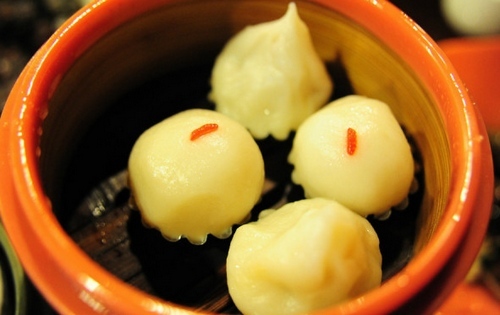 Besides, because of its white down, it was also called "White down needle" (Bai Mao Jian). It was named as Junshan Yinzhen during Qing Dynasty. In 1957, it was selected as one of the Top Ten tea in China. In 1972, when China re-gained a chair as a permanent member of United Nation Security Council, Junshan Yinzhen became the only tea to serve the Prime Ministers and Diplomatic Envoys from various countries. 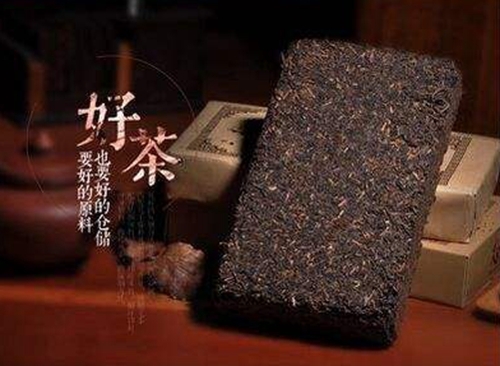 Since 1980, it has been prized as the high grade tea in Hunan Province. 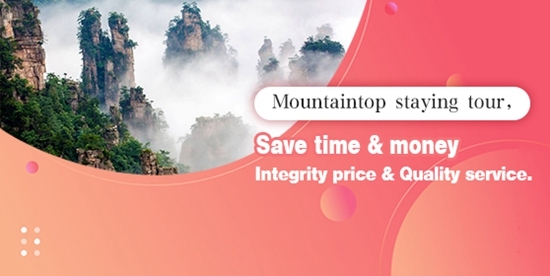 In 1982, it was appraised as the top quality tea by the Commercial Section in China，and in the following year (1983), Junshan Yinzhen was certified as the high grade tea by the Foreign Trade Department of China. In 2006, Junshan Yinzhen has been selected by the Ministry of Commerce, and the Ministry of Foreign Affairs Ministryas the National Gift Tea to Russia President Vladimir Putin. 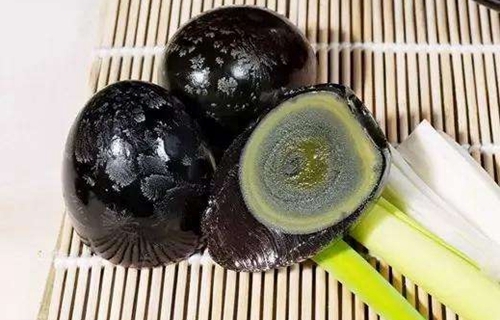 With milky-white pine bough pattern on its surface, the egg tastes cool, smooth and refreshing. The post-fermented tea gets its name from its color and helps keep fit. Anhua Leicha Tea is a traditional drink of Hakka people. 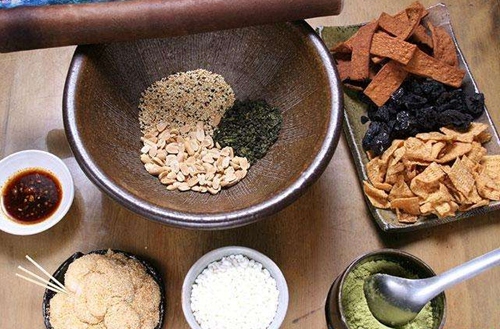 The tea is made from tea leaves, rice, sesame, soybeans, peanuts, salt, dried orange peels powder. It boasts the functions of relieving your thirst and satisfying your appitite. 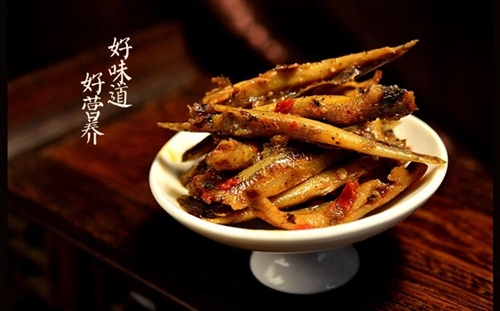 It tastes delicious and was reportedly one of Mao Zedong's favorites. 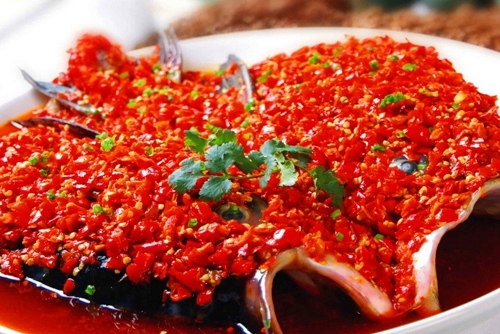 A meaty carp head blanketed with a blend of multi-colored chilies. It has been a mark of Xiangtan. All residents, no matter business leaders, local officials, ordinary people, may chew the nuts anytime during a day. 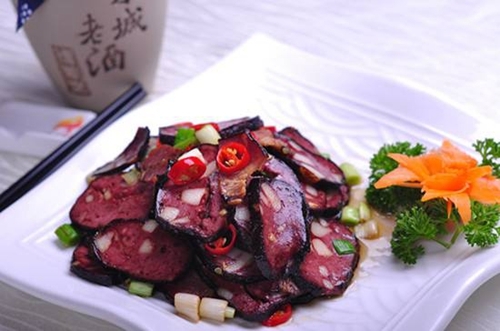 As a local product of Caopo Township, Youxian County, Zhuzhou, the cured meat is home-made by hanging it beside a stove for quite a long time. 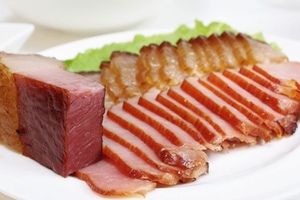 The meat looks transparent, with a bright color and a delicious flavour. 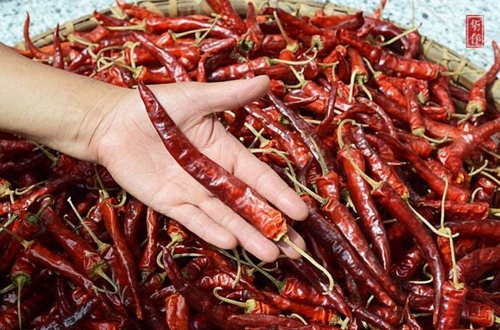 Produced in Hejiaqiao, Nan-xiang Township, Liling County, the red peppers are bright in color, with thick flesh. Such red peppers are very popular both at home and abroad. 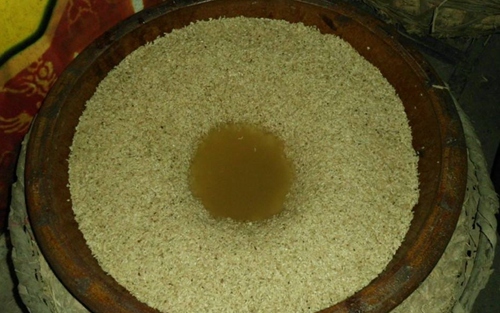 The rice wine is produced in Caopo Township, Youxian County, Zhuzhou. After rice is brewed, it is sealed and buried underground for five years. 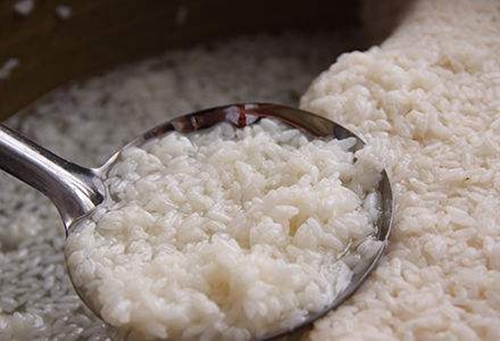 Caopo Rice Wine is sweet and tasty, with a delicate scent. 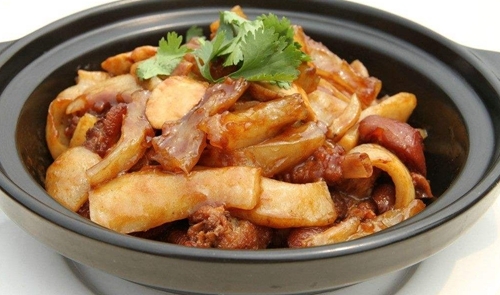 As a traditional dish of Shaoyang, it is widely praised for its obvious native flavor. The dishes are marinated and cooked according to special recipes and their special taste brings them a wide reputation. The unique flavor and pleasing aroma of the alcohol due to cellaring for years can tantalize taste buds and refresh mind. 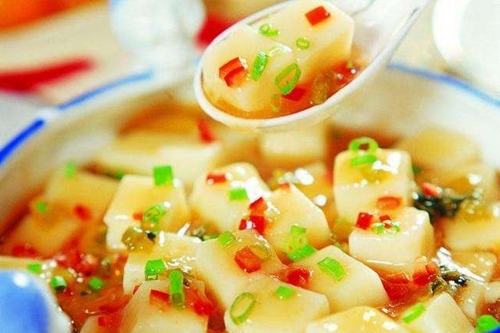 Fermented tofu, also called Chinese cheese, is a local specialty produced in Hengyang. It has a special mouthfeel similar to certain dairy product, but a little salty. 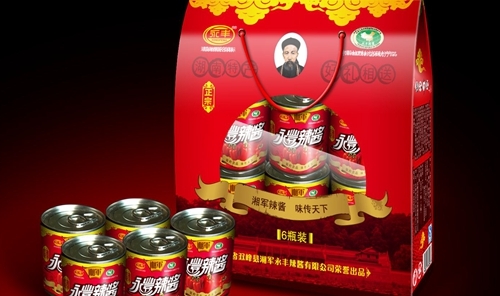 Yongfeng chilli sauce, made from local chili, soybean and special seasonings, is bright in color and appetizing in taste. 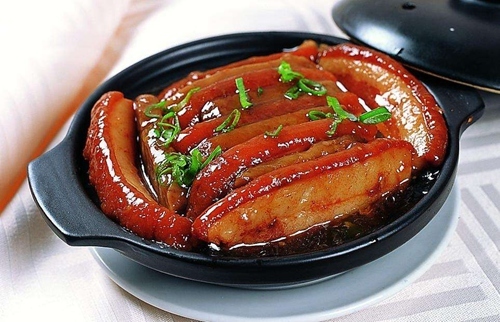 With greasy and golden surface, it tastes appetizing and tender with an aftertaste for a long time. 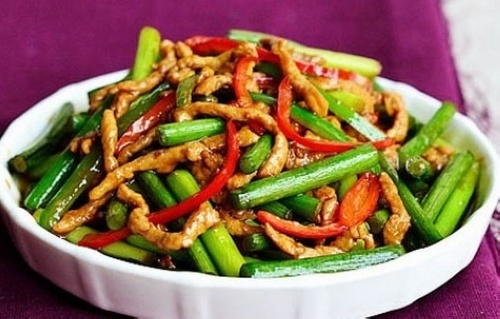 Dong'an Chicken is attractive in shape, color and nutritionally rich. 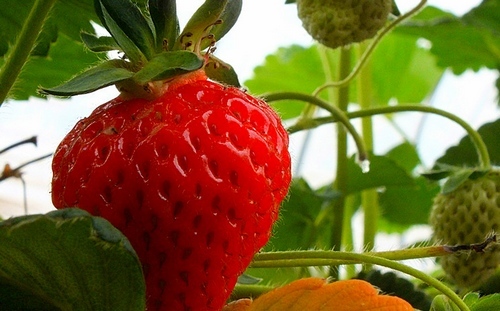 It tastes hot, crisp, sweet, tender and tart. 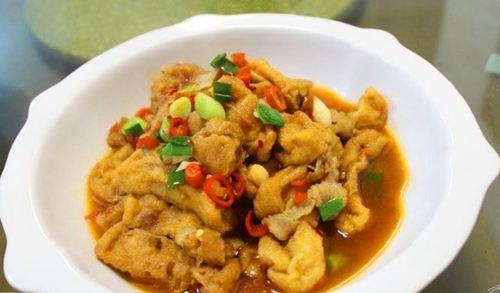 Jiangyong taro, containing large amount of starch, protein and vitamins, is a kind of delicacy which can be stewed, fried, braised or stir-fried. 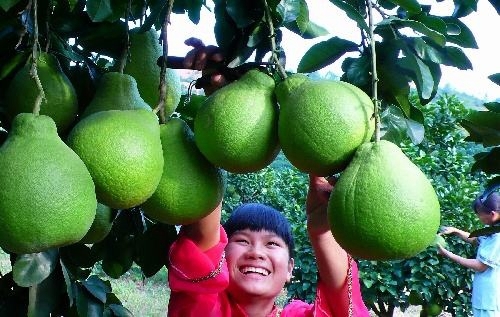 Jiangyong sweet pomelo is nutritious and delicious with juicy meat and pulp. 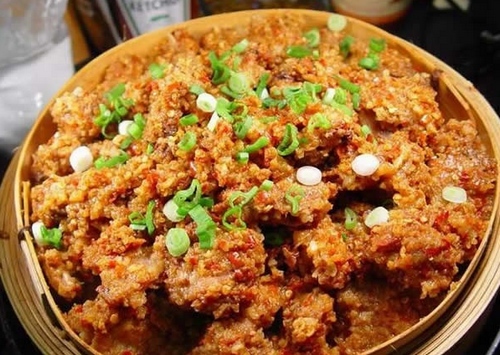 Braised, fried, stewed or even processed into boiled salted duck or dried salted duck, Linwu duck always make mouths water. 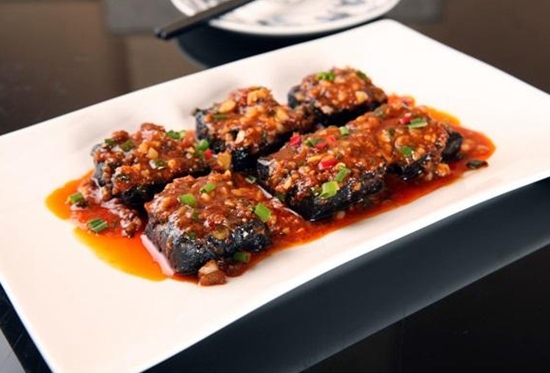 Dongjiang fish is processed elaborately by advanced smokeless technology, tasting tender and pure. 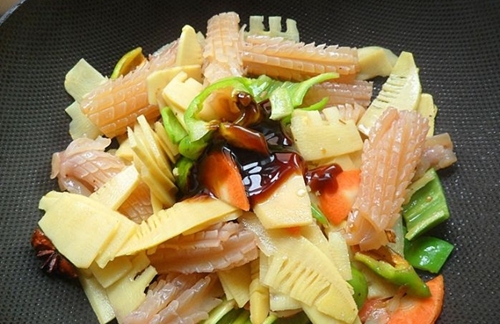 Zixing bamboo shoot enjoys a good reputation in China for its delicious taste and fragrance. 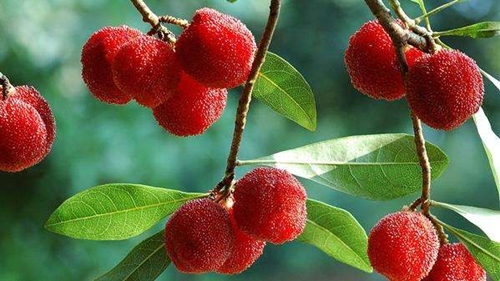 Jingzhou Waxberry enjoys a good reputation at home and abroad. It always becomes a hit at food expos. 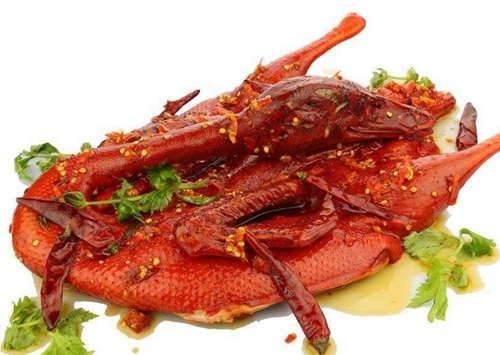 Zhijiang duck, a famous specialty food of Dong ethnic group, has perfect combination of color, aroma and taste. 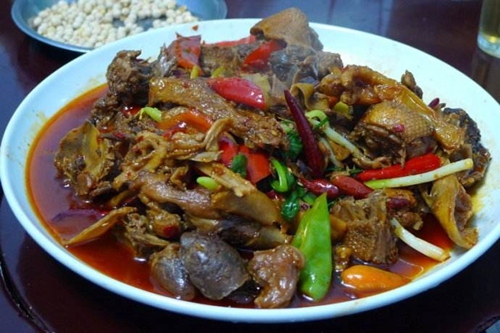 It is a famous dish in Mayang Miao Autonomous County, with beautiful color, nice taste and high nutrition. At the beginning of 20th century, two sisters, both young and beautiful, set up a stall selling dumplings in the market of Huogong Dian. 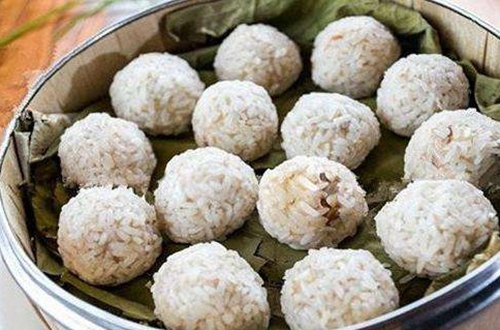 Their dumplings were not only beautiful in appearance, but also delicious in taste, which had been praised and then gained its popularity ever since. With porcelain white color, it is crystally bright and exquisitely small. There are two kinds of stuffing, one with sugar filings and the other with meat filings. Tender in its texture, each one has a unique flavor. 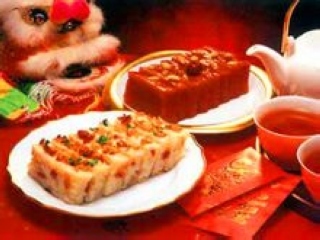 Fabin food, The only fermented Chinese pastry which owns a history of more than 70 years, is a kind of unique flavor of new types of popular food. Once it has come into the market, it is so warmly welcomed that businessmen only sell them in the nights to attract other businesses. 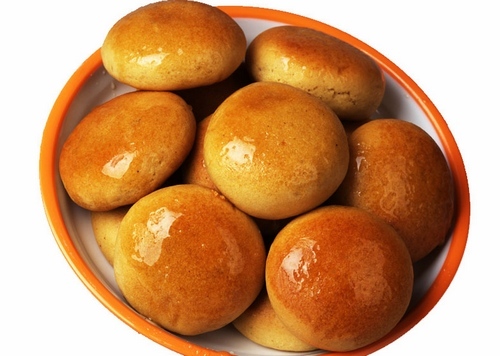 As a result, Fabin has been a knock-out product in Hunan pastry industry and the night market booms since then. 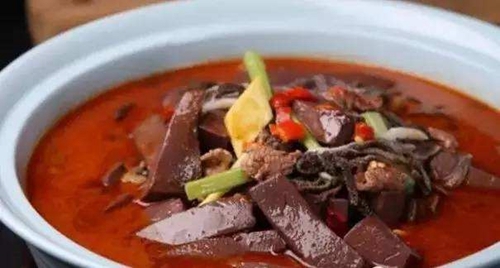 Hunan Liuyang Huibing, A famous traditional food in Liuyang, has already owned a history of more than 300 years. By using the unique methods of being wrapped by sugar and baked by cylinder furnace, it is made through no less than 10 refined procedures composed of oiling the surface and inside, wrapping the crisp, filling the cake with different kinds of materials, modeling and baking, with diversified raw materials including flour, tea oil, sugar, malt sugar as a main ingredient and kumquat, little wormwood incense, cooked sesame seeds, the laurel blossoms oil and broken rocky sugar as accessories. 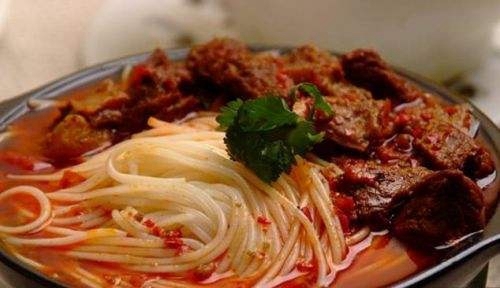 As a golden brand of Zhenzhou,Hunan, Qifengdu Fish Rice Noodles is made of rice noodles, which is pure hand-maded, and fresh fish soup stewed by chub. Thus, it is both spicy and nutritious. 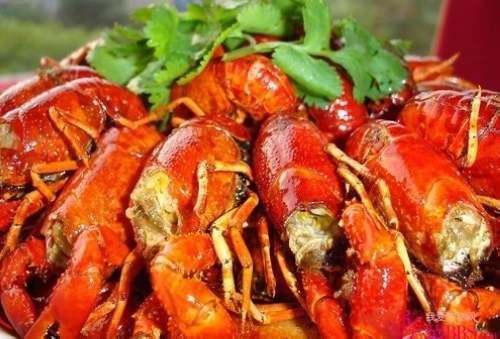 Many people even drive hundred meters to taste this delicacy with whole family. 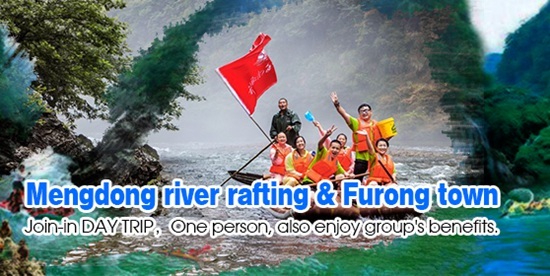 If you have the chance to be Chenzhou, never miss the chance to have a try! Hengyang nanyue guanyin bamboo is a small bamboo which unearthed in lunar February 19th (avalokitesvara birthday). 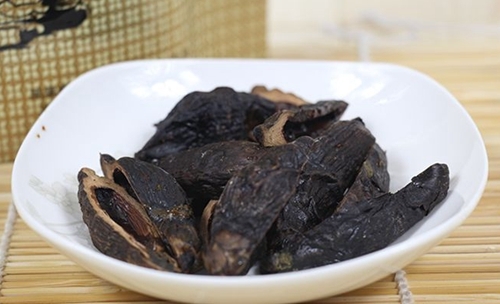 It is a specialty flavor food of Nanyue. Nanyue hengyang has a lot of mountains and bambooes. In the temple, monks are vegetarians, so they become exquisite for the production of bamboo food, such as decocting, frying, pickling and boiling. 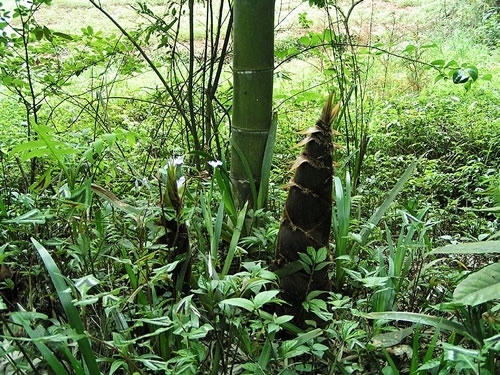 Oil bamboo is the most unique bamboo. 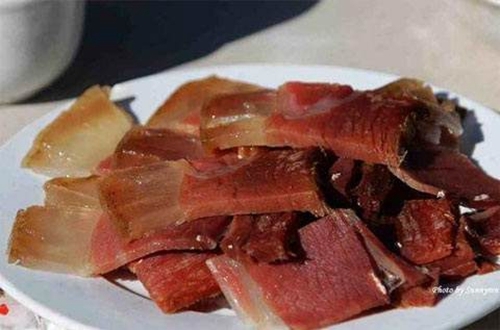 The meat of Guanyin bamboo is tender, delicious and very fragrant. 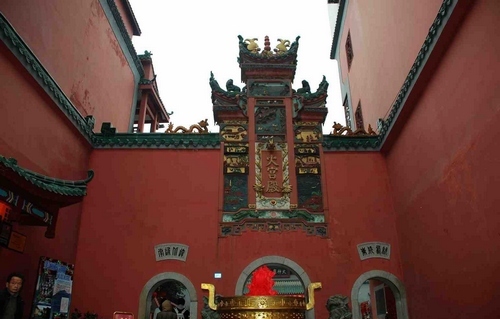 Fiery Palace is a well-known special scenic spot in Changsha City of Hunan Province. 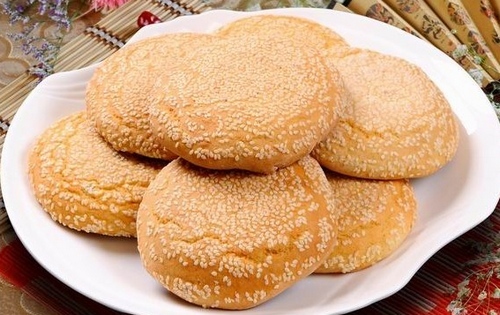 It is seated in Pozi Street, in which all sorts of people in Changsha are familiar with and is regarded as the first choice of Changsha’s famous snack. At the same time, Fiery Palace is also an old shop that has won fame both at home and abroad. 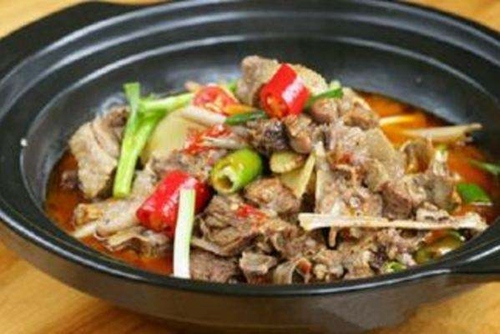 It is a representative public place in Changsha City and even in Hunan Province for integrating folk culture, religious culture and cooking culture. 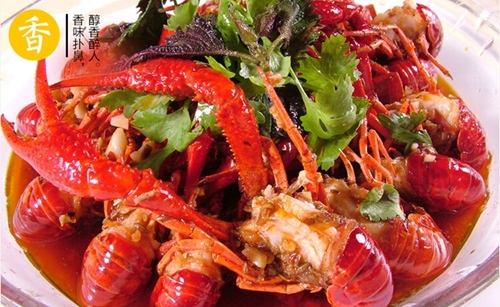 Bright in color and highly spiced, it is the most delicious flavor in Changsha that invites me! 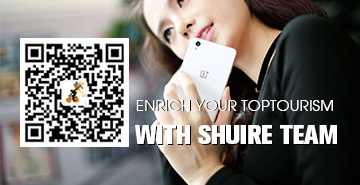 It has attracted great popularity in all walks of life, from celebrity to common folks. And a lot of TV programs has propagandize it. 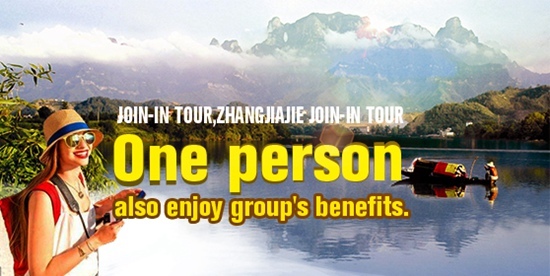 For those who have come to Changsha, take the chance to try it!